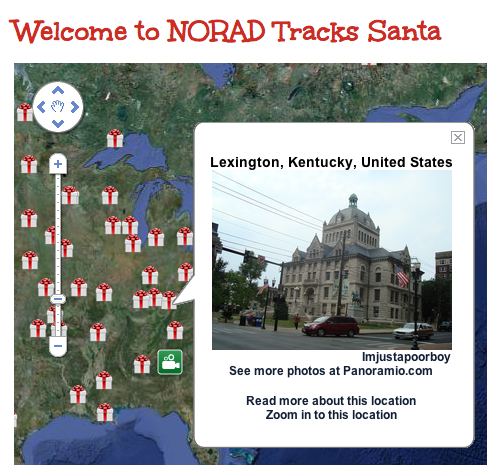 According to NORAD's official Santa tracker, www.noradsanta.org, Santa made a stop in Lexington this evening. The Big Man even saw the old Courthouse and Lexington History Museum! And from the look of things here, Santa made a quick visit to Nicholasville and undoubtedly other places around the Commonwealth!